The trials for female football squads commenced just a few days ago. We have identified players and sent letters of offer to the extent that we have already filled the U-14 Girls; U-16 Girls; and City Women squads. 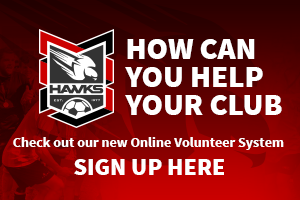 The season 2019 is fast approaching and whilst the Football Brisbane fixtures do not get released until the new year, we, at the Hawks are trying very hard to have everything in place before the years end. 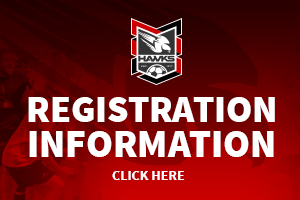 The fixtures for Female Football at the Hawks usually commence in March and many, if not most, of the girls are playing other sport and have other commitments until around the middle of February. This makes it difficult for girls to commit as early as November. 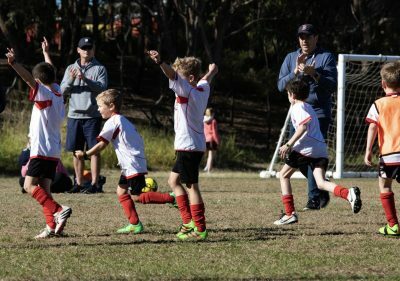 This presents the club with a problem because as a club we must nominate teams to Football Brisbane so that they in turn can establish competitions and select which teams will compete where. As a club we must meet deadlines as set by Football Brisbane. It can be a “Catch 22” situation whereby if players do not attend trials, we cannot nominate teams for places in competitions. The other side of it is that when players do decide to join a club either the clubs are full, or they have missed the deadline to enter teams into competitions. Then there are the demands from players and parents wanting to know who is coaching what team. We have circumstances where I am asked who is the coach for this team or that team, and in many instances players and parents tell me, “If that coach is coaching I am leaving the club” and “Unless this or that coach is coaching I will not sign up” This situation is predominant in female football at our club and frankly I tired of trying to please everyone. As Technical Director, it is my decision to choose the coach and determine which team they will coach, it is not a decision reached by an election by parents and players. I have a situation where some want this coach and some want that coach. This is not healthy because the squad starts a season divided instead of united behind one cause. 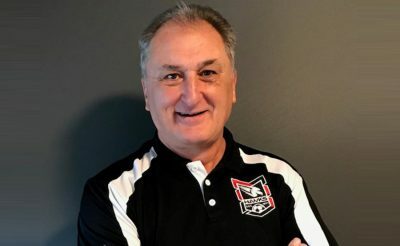 I appreciate that players and coaches are entitled to know if the coach is appropriate for coaching at certain levels and if the accreditation is suitable and if several other criteria are met – it is my responsibility to ensure they are. I am very upset that some parents have called me and stated that the club has not released information about the coming season. That is not true! The trials are but one week old and certainly at the senior level we had the first trial only yesterday. The Hawks will play in Capital One league at Senior level because we were relegated last season. This means that we will have to sign a squad of 16 players. We also have a City 5 Squad which is full and if numbers allow, we will consider another City Women’s team. The bottom line is that until the trials are complete and squads selected, we cannot nominate for specific competitions. If players do not attend trials, we can only make decisions based on numbers. If we miss the deadlines as required by Football Brisbane we cannot compete. If we nominate teams and then players do not follow through with commitments, we are sanctioned by the governing body because they too have deadlines to inform clubs as to which divisions, they are competing in. Finally, it is our intention to field teams in U-9-10-11-12-13-14-15-16 and Capital One plus City 5 Women in season 2019. These competitions do not commence until March and we utilize Mid-January to March for pre-season. Once players have been identified at trials, we will send out letters (Emails) of offer and these will include the coaches name, the cost of the registrations, the training times and locations and several conditions as appropriate. The recipient will then have seven days to accept or reject. There will be a NON-REFUNDABLE deposit required to secure a place once you accept the offer. This is to ensure that people honour their commitment. The conditions set in the letter of offer are not negotiable. I have several parents and players inform me that they have already had several offers from other clubs. This is to be expected and to these parents and players I recommend that a decision is made based on their personal circumstances and what is in the individuals best interest. We look forward to 2019 and hope that you will be part of our squad.